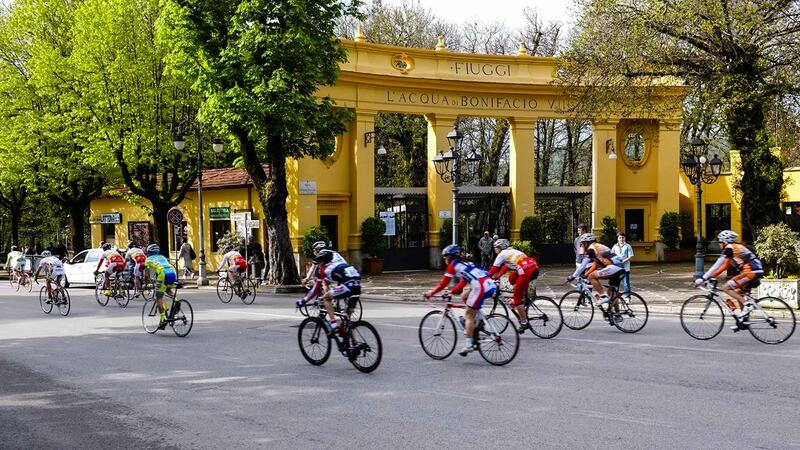 This route are is characterized in particular by the ancient Sanctuary of the Sacro Speco and the Monastery of Santa Scolastica, but there is much more to discover. 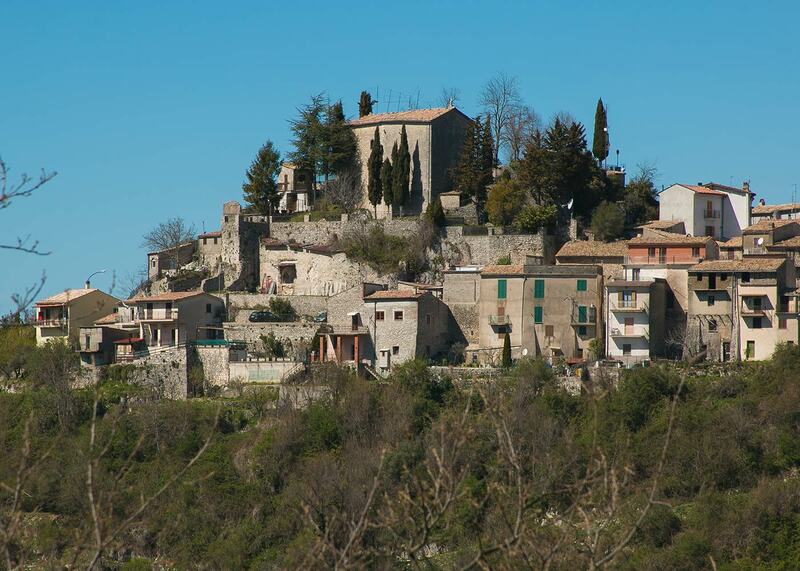 The departure is scheduled from Fiuggi to which you will return after a circular itinerary. The town boasts Thermal Baths well-known throughout Europe. The Vecchia Fiuggi, perched on the hill, is not to be missed: it perfectly preserves medieval structures, churches and ancient buildings. 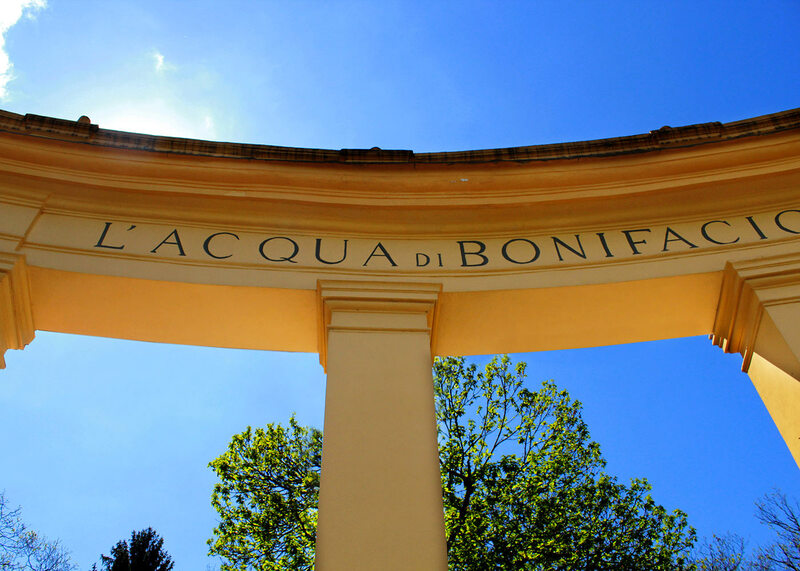 The most modern area (Fiuggi Fonte) extends downstream with its Spa factories. You start pedaling on a slight slope within everyone’s reach that makes your muscles melt ahead of the 6-kilometer ascent to Passo della Sella. It passes through the Altipiani di Arcinazzo: already the ancient Romans greatly appreciated this area located at about 900 meters high. Evidence of this is the remains of the Villa of the Emperor Trajan (1st century AD). To visit also the Arch of Trevi and the medieval tower of Narsio. But the Altipiani were also very frequented by brigands who exploited the caves there to find safe shelters. Now you can enjoy the long downhill towards Subiaco up to the junction of the ascent of the Monasteries (they are 10 kilometers at 5 percent). 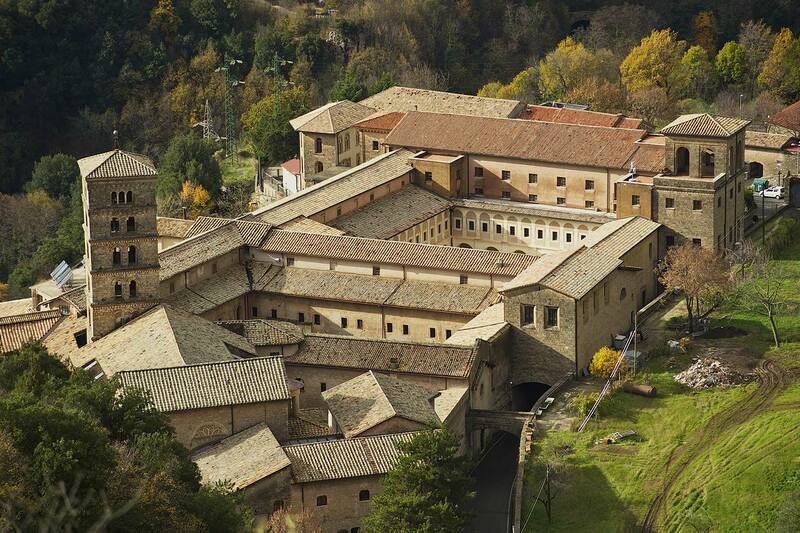 Here we are in the heart of this itinerary: the first to be visited will be the Sanctuary of the Sacro Speco. Also known as the Monastery of San Benedetto, it is literally set in Monte Taleo. Here is the cave where, at the beginning of the 6th century, the young San Benedetto da Norcia lived as a hermit. The monastery has two superimposed churches and many chapels. The church below holds the cave where St. Benedict lived as a hermit for 3 years. It is followed by a labyrinth of rooms and churches adorned with paintings, including the first depiction of San Francesco from 1223. The other pearl is represented by the Monastery of Santa Scolastica: it is the oldest in the Belpaese. Built in 520, it is the only survivor of earthquakes and Saracen destruction of the twelve monasteries founded in the territory of Subiaco da San Benedetto. It contains three cloisters and the Church of Santa Scolastica (from the late ‘700) all in different styles. Once again in the saddle, to discover the village of Jenne. 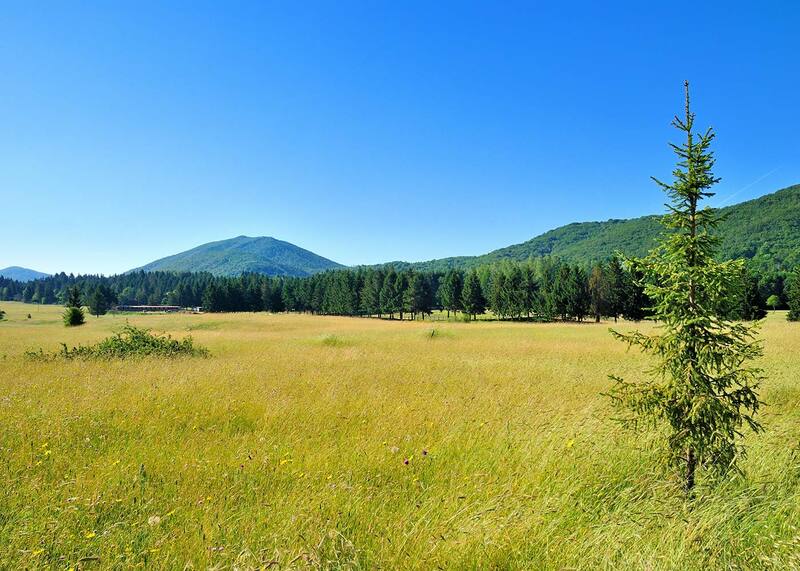 Located on a mountain spur overlooking the upper Aniene Valley along the transhumance routes. The name probably derives from “Gehenna”: “gates of hell”, referring to the nearby caves of the Inferniglio. 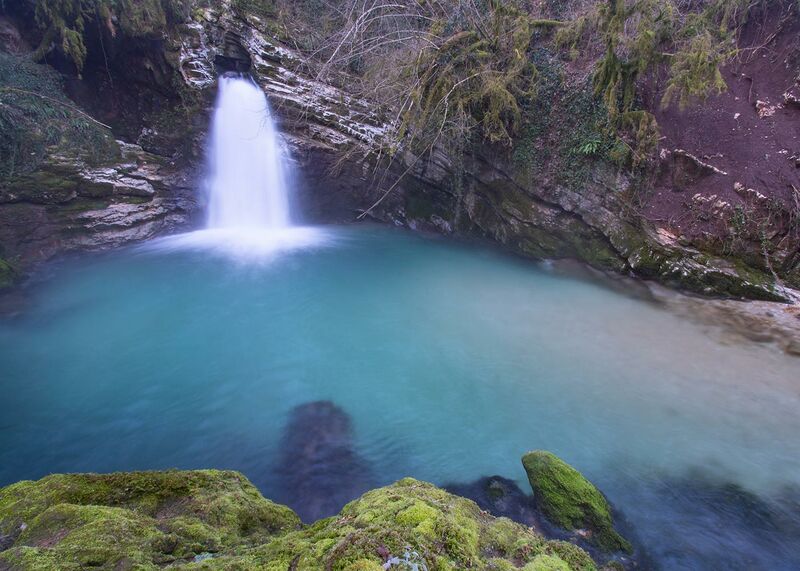 It is located in the Apennine Park – Monti Simbruini, the largest in Lazio. Of historical interest are the remains of the ancient medieval castle and the numerous churches. 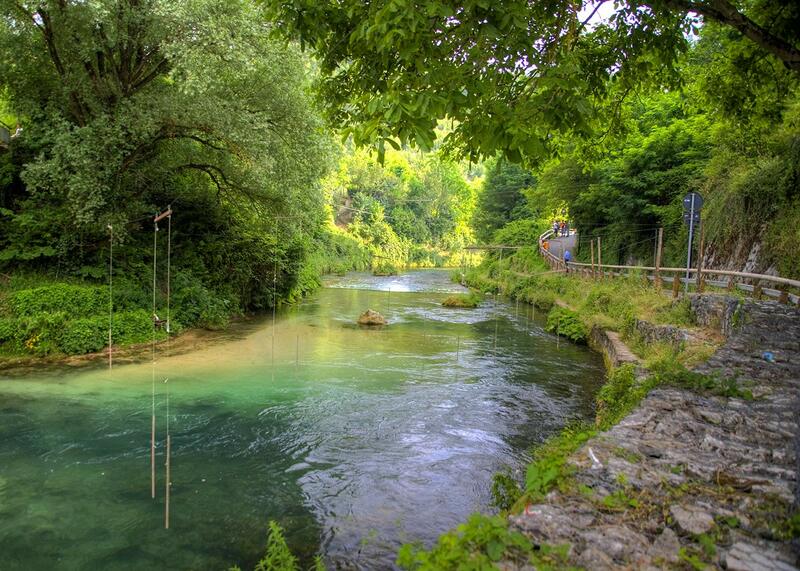 After the visit, descend towards the Trevi Waterfall: a spectacular dive in emerald waters. It is one of the best known natural beauties of the Monti Simbruini protected by a rich vegetation. This is a phenomenon due to the confluence of the Simbrivio and Aniene rivers. The water comes out of the rock falling on a quiet pond. In all in a wild context where there is also the initial part of one of the aqueducts that quenched the thirst of the Eternal City. Here we are at the final efforts: first the 8 kilometers (interrupted by brief descents) up to the Altipiani di Arcinazzo and then again the Passo della Sella which takes us back to Fiuggi. You need the classic cyclist look, with a useful cape for downhill sections. The most challenging part is that of the double climb to the Passo della Sella. Water is not a problem: there are many fountains along the road. The best time to go through this path is the one that goes from March to October. You can park at Piazzale della Stazione in Fiuggi and Piazza Martiri di Nassiriya.